Arsenal are reportedly setting their sights on Sevilla midfielder Ever Banega, a player Unai Emery knows well from his previous stint in Spain. The Spanish tactician eventually prioritised his midfield this past summer, with the likes of Lucas Torreira and Matteo Guendouzi arriving to bolster his options in that department. Perhaps he isn’t quite content with it just yet though, as The Sun report that Arsenal could target Banega next year as with his contract not set to expire until after next season, they could opt to exercise the £18m release clause that he is said to have in his current deal. On one hand, signing Banega would be a very sensible move from Arsenal. The 30-year-old brings a wealth of experience having played at the top level in Spain and Italy for a number of years, while he has also been a key figure for Argentina too. 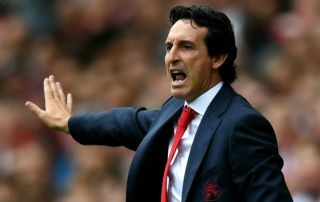 Adding his creative qualities in midfield alongside the likes of Torreira and Guendouzi could help Emery strike a real balance in that area of his side while undoubtedly adding great quality too as he’ll be fully aware having previously coached him. Nevertheless, Banega is a player that thrives and shines when given time and space to pick out a pass. It’s questionable as to whether he’d get that in the Premier League given the tempo and intensity, and so it has to be questioned as to whether or not he would suit the English game. Time will tell if Arsenal sign him and we get the answer to that concern, but despite already having the likes of Torreira, Guendouzi, Granit Xhaka, Aaron Ramsey and Mohamed Elneny in their squad, the Gunners could still be in the market to strengthen their midfield next year.